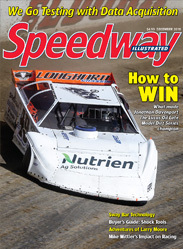 Check out what's inside the current issue of Speedway Illustrated! Not yet a subscriber? What are you waiting for? Click here to get started.